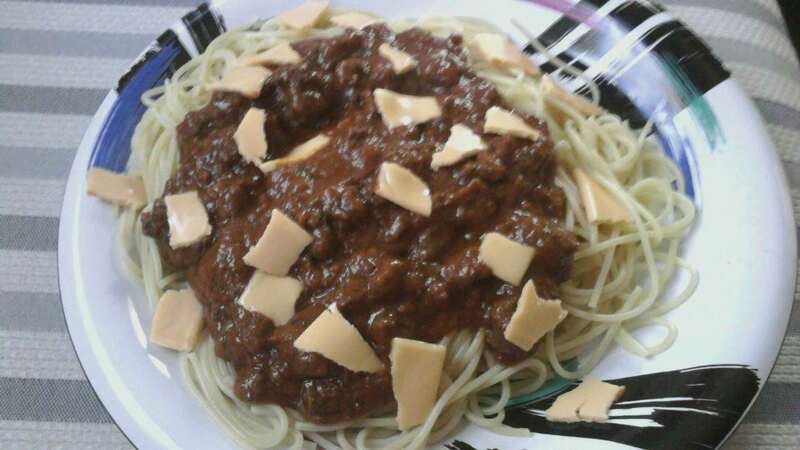 I am not so sure if I have shared this homemade spaghetti here before. If I did, just want to show it again. If not, then I would love to share this with you all. Where did I get this recipe? It's from one of my bff's in Philippines. I remember she invited me over to their place for some occasion, and she let me tried this Italian Spaghetti that she called it. The first fork I put in my mouth makes me like it so much. I am not really a spaghetti fanatic but when I tried her recipe sweet and spicy it makes me eat more. And I kid you not, I have had my second plate of spaghetti. So, when I came here and missed her spaghetti recipe I asked for here recipe and tried to make it. It was the very first time I made my own spaghetti. Not just me but my extended family here loved it. They even eat more than they used too. One thing hubby loved it too. And so to those people who tried the recipe. Now the question is, if I ate more like this I will definitely gain more weight. I haven't lose the pregnancy weight I have lately I just hope this will not add into my weight. Or I might search for acai berry weight loss, since this is pretty much popular here lately. I have heard so many women who buy acai berry and they have satisfied with the result. This acai berry might be work and might be the solution to my problems.